Fingerprint, facial recognition and hand scanning terminals are the perfect solution for large and small time and attendance systems. 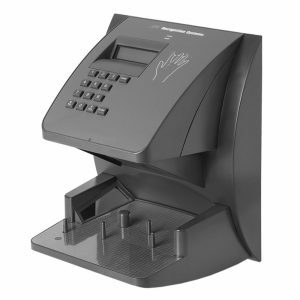 Keep track of employee attendance with our range of clocking in machines. 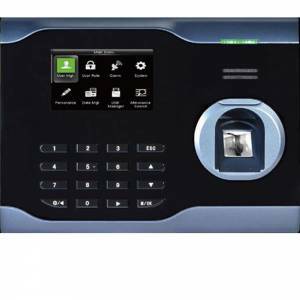 Easy to install, this biometric fingerprint clocking in terminal is the perfect solution, increasing clocking accuracy and cutting out buddy clocking..
Biometric facial recognition terminals can also be used with swipe cards/key fobs and PIN clocking. 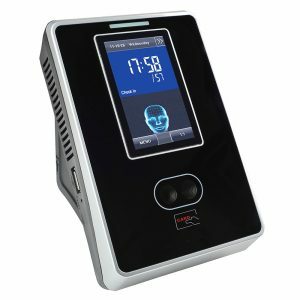 This facial recognition clocking in terminal is ideal for no-touch clocking.